The RØDE Soundbooth currently does not support playback on Apple iOS devices (iPad/iPhone/iPod). 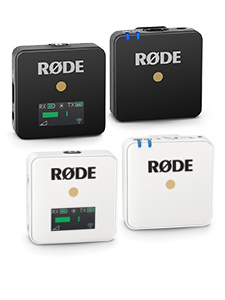 However, there is a RØDE Soundbooth app available in the iTunes store here. Please wait while we load your initial microphones and instruments. Please note that the RØDE Soundbooth requires a modern web browser and a reasonable amount of RAM to play all the tracks in real time. If you experience any playback issues please ensure you have closed any unnecessary applications and browser tabs and reload Soundbooth. Users familiar with a DAW (digital audio workstation) will find themselves immediately at home in Soundbooth, but even those without a recording background will be able to make full use of the RØDE Soundbooth after learning the basic interface. The layout is very straightforward - at the top are the play controls (Rewind to start, Play/Pause, Stop, and Loop), and below that are the instrument tracks. Each horizontal track corresponds to an instrument recording on a particular microphone, rollover the individual components below to learn more. Rollover the interface above to learn more about each section. To change the microphone for any track simply click on the microphone image and select the desired microphone from the drop down list. Please note that if you change the microphone selection the recording will return to the beginning. To add a new track just click the 'Add Track' button below the current tracks, and then select the instrument, microphone and proximity from the screen that appears. Once you're happy with your selection just click 'Add Track'. If you want to use the RØDE Soundbooth to compare different microphones you can add multiple tracks of the same instrument with different microphones (useful for /B comparison tests). The RØDE Soundbooth is an innovative and user friendly application that allows you to listen to various RØDE microphones in a professionally recorded, controlled environment. 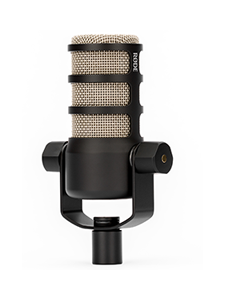 This allows you to see how a particular microphone might sound on a particular instrument, or to compare how different RØDE microphones sound on the same instrument. In some cases you can even select the same microphone on the same instrument but from different distances! Every instrument was recorded by world renowned producer and engineer John Merchant www.johnmerchant.com - Bee Gees, Celine Dion, Barbara Streisand) at world class facilities including Red Door Studio, Nashville, The Steinway Gallery, Nashville and Middle Tennessee State University. The artists featured on the tracks are some of Nashville's finest session musicians. Under the direction of RØDE John went to great lengths to ensure that the performances and recording techniques used were suitable for an application that facilitates a critical comparison between microphones. Over the course of several weeks John painstakingly recorded close to 400 individual tracks that now make up the RØDE Soundbooth. All tracks produced and engineered by John Merchant (www.johnmerchant.com). December 2010 - January 2011. Recorded with ProTools 8.1 HD with Apogee interface, API A2D (312) preamplifier. Recorded using ProTools 8.1 using 003 interface. 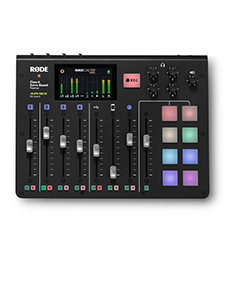 Click on the image to get RØDE SOUNDBOOTH app on your ipad.